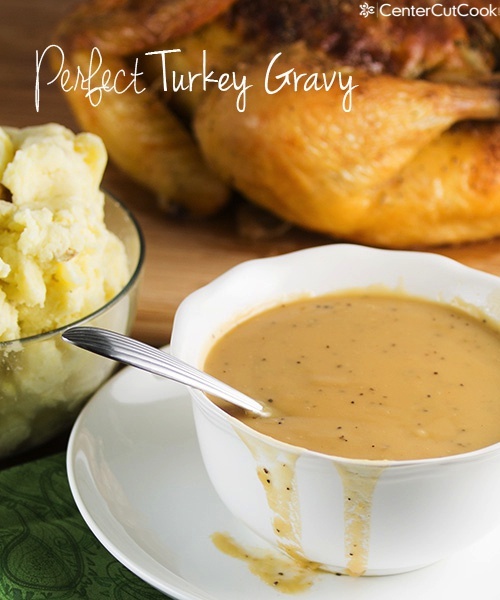 Perfect Turkey Gravy Recipe with instructions to make it with or without drippings. All you need is butter, flour, black pepper, chicken or turkey stock and/or drippings! Perfect for feeding a crowd on Thanksgiving! 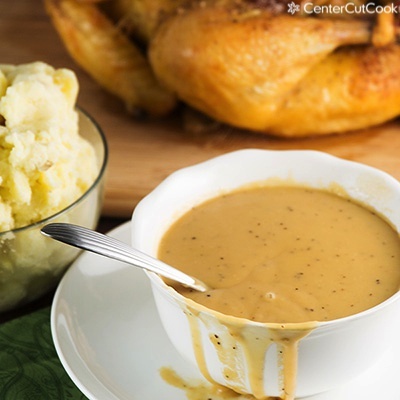 When it comes to Thanksgiving, dinner would not be complete without the turkey gravy! Years ago I used to be extremely intimidated of making gravy because for whatever reason, it seemed too complicated to make. I’m here to tell you that this Perfect Turkey Gravy is one of the easiest recipes you’ll make for Thanksgiving dinner! Of course, Thanksgiving isn’t the only time when this turkey gravy will come in handy! You can use this any time of year ; I tend to use it any time I am making my favorite roast chicken! This Perfect Turkey Gravy recipe can be made with our without drippings from a chicken or turkey, which is one of the reasons I love it. And to thicken it, I use flour versus some recipes that call for cornstarch which is just a personal preference. The method is so simple and will take only about 10 minutes from start to finish. If you are making this Turkey Gravy without drippings, you’ll need chicken or turkey stock from the grocery store. Make sure you are using a quality stock because it will directly impact the flavor. If you have drippings from the turkey but not enough, no worries. You can always make up for what you don’t have by adding in store-bought stock. For example, if you have 2 cups of drippings from your turkey, just add in 2 cups chicken stock so that you have 4 cups of drippings/stock total. Turkey Gravy for a Crowd! Are you cooking for a crowd this Thanksgiving? No problem. 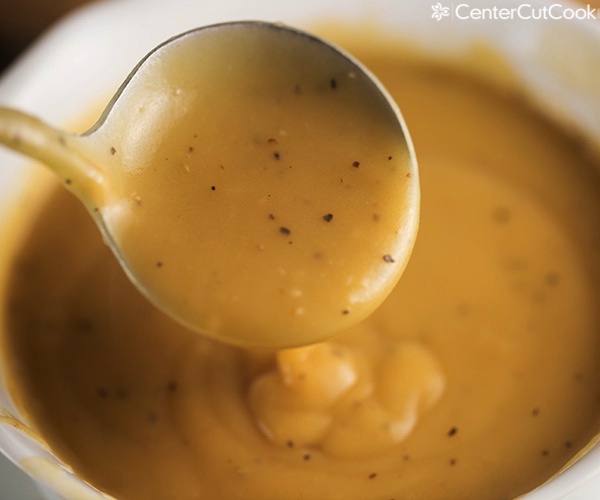 You can easily double or triple this recipe for lots of extra delicious turkey gravy. And the best news is that it can be made ahead of time and warmed up right before you eat. I don’t know about you but when I’m cooking for a crowd I like to prep ahead as much as possible and this recipe works great for that! While some recipes for turkey gravy call for cornstarch as the thickening agent, I like to use flour. Just make sure that after you add the flour, you whisk really well so that it fully incorporates into the butter. I typically like to make the gravy shortly before we eat dinner, but you can always make it ahead of time and warm it up right before dinner. Is there anything better than warm, delicious gravy from scratch? Serve it atop your mashed potatoes, turkey stuffing, and whatever else you put gravy on! This Turkey Gravy recipe yields about 4 cups which is plenty of gravy to feed a crowd. Below you’ll find instructions on how to make it with or without drippings.